Miki Pulley is a world-class brand that established its business roots by providing variable speed belt drives to the burgeoning Asian machine industry several decades ago. Over time, our product line has evolved to serve several facets of the machine and manufacturing market worldwide. With offices, production facilities, and partner companies spanning the globe, our customer service, and Engineering expertise is at the forefront of the world market. Electromagnetic brakes from Miki Pulley are available in power-on engaged, or power off engaged types. We offer micro brakes, spring actuated brakes, and clutch and brake combo units to meet the requirements of virtually any application. 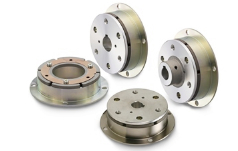 Our electromagnetic brake options include both shaft-mounted and flange-mounted options for use across a diverse range of industries and applications. 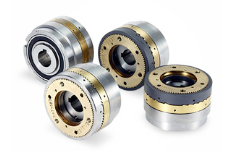 EM clutches operate electrically but transmit torque mechanically and are used for various sorting and packaging applications. Electronic clutches provide minimal or zero backlash and a fast response in high cycle applications. 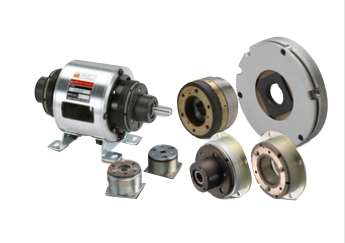 We offer a variety of electromagnetic clutches including micro-clutches, actuated clutches, tooth clutches, and clutch/brake combo units in wall-mounted and shaft-mounted configurations. Shaft couplings are used to join two shafts together for the transmission of power or rotational motion. 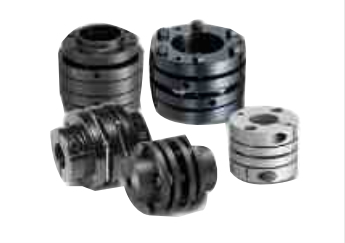 There are several types of couplings and each is designed for a specific purpose. Dual elastomer couplings are used for resonance damping, and curved element jaw & spider couplings transmit rotational power with double the torque of standard jaw couplings. 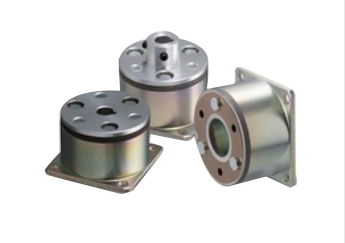 We also provide magnetic couplings, bellows shaft couplings, and other high-performance speed control solutions. 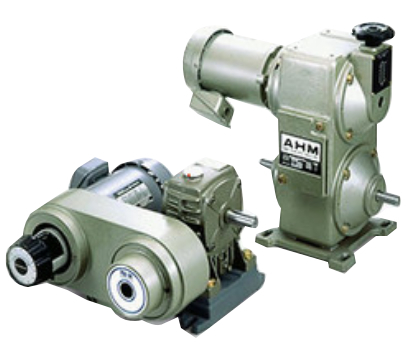 Variable speed belt drives are used to adjust RPMs mechanically without the need for electrical controls. Miki Pulley manufactures belted speed change devices and single element belt speed change devices in several configurations and with optional add-ons to create a customized speed control solution. 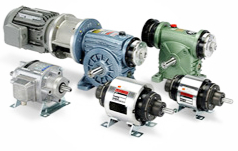 At Miki Pulley, we pride ourselves on being a leading manufacturer of solutions for the power transmission and motion control equipment industries. We take time to understand the unique needs of our customers, including the type of product they need and how it needs to perform, to ensure high-quality products that deliver superior performance. To provide the highest level of quality possible, the assembly and inspection processes we use in our manufacturing facilities have been optimized from decades of experience. This assures consistent quality and prevents defects and other issues that impact the performance of our motion control products. As a trusted supplier and manufacturer of motion control products, we provide products that deliver the high torsional stiffness, high output, high torque and zero-backlash features you need for your precision applications. Request a quote for your motion control products today or contact us to discuss your custom requirements. We understand that customization is important, especially for high precision applications. Whether you need brakes for your ball-screw actuator or a coupling for a servo motor, we have a solution for your motion control needs. We provide a wide range of standard configurations for all our speed control products and offer modification or customization of our products based on your unique requirements. Our motion control experts collaborate with design engineers to identify the most efficient and cost-effective solutions for rotary motion control and mechatronic applications. Together, we have developed a line of zero-backlash couplings that include: jaw & spider type, high-performance servo type couplings, and high-speed metal plate spring couplings in a range of configurations. 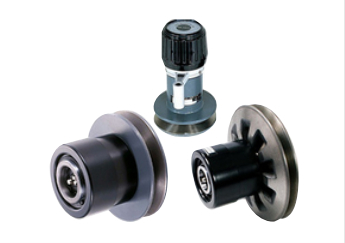 Our positive shaft locking devices also bring a very simple, but important element to our product offering. Electromagnetic Clutches and brakes round out our compliment of solutions. Visit the motion control product categories below for additional information or download our product catalogs for a full listing of our brakes, clutches, and couplings. Miki Pulley clutches, brakes and other speed control components are used by various industries for pumps, robotic arms, CNC machines, printing machines, packaging machines, stepper/servo motors, and much more. Learn more about industry applications for our motion control products by visiting the industry categories below or contact us to discuss your requirements. 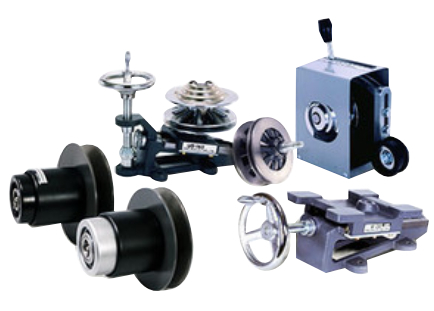 Miki Pulley offers a vast range of speed control and motion control products that are designed to meet demanding applications. Browse our product categories or contact us today to discuss your speed control requirements.